Last year in 2013, on December 30, the United States EPA recognized that the revised “ASTM Standard E1527-13 – Standard Practice for Environmental Site Assessments: Phase I Environmental Site Assessment Process” met the requirements of the “All Appropriate Inquiry (AAI)” Rule when conducting a Phase I Environmental Site Assessment (ESA). A Phase I ESA completed in accordance with ASTM E1527 is widely recognized as the gold standard to conduct environmental due diligence when buying, or providing financing for, industrial and commercial properties. 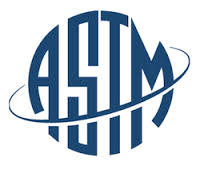 ASTM E1527-13 was developed in accordance with ASTM’s protocol for review of its own standard practices and guides. ASTM standards, including E1527, have a maximum “shelf life” of 8 years. The last revision was in 2005, with the issuance of the prior standard E1527-05. Created an appendix stated: “Business Environmental Risk” which provides resources and references for common issues. How Does This Affect A Previously Completed Phase I ESA? The development of the new ASTM standard does not mean that a Phase I ESA completed under the previous standard is no longer viable. The liability protections are the same as they were when the Phase I ESA was completed. EPA’s newly amended All Appropriate Inquiry rule does not eliminate any reference to the prior ASTM standard (E1527-05). According to the EPA, they will publish an additional proposed rulemaking to remove the reference to the ASTM E1527–05 standard in the AAI rule sometime in the near future. While technically the previous standard is still adequate to meet AAI, the EPA “strongly encourages” and “recommends that environmental professionals and prospective purchasers” use ASTM E1527–13 when conducting AAI compliant Phase I ESA’s to identify releases and threatened releases of hazardous substances at commercial and industrial properties. So how does this affect your buying or lending? Requiring the use of ASTM E1527-13 guarantees that your Phase I ESA was conducted in accordance with the latest standard and insures compliance with EPA’s AAI. The additional guidance and clarifications provided in the new standard will provide you a more complete environmental due diligence. Additionally, ASTM E 1527-13 has been formally adopted and is required by the Small Business Administration (SBA) and Federal Housing Administration (FHA) when completing a Phase I ESA utilizing their loan programs. EPA NOC for Boilers Subject to Tune-ups Due July 19th (With a Twist)!